I am passionate about developing online courses and love to share my passion with other therapists. However, I often have people say, “I want to create an online course, but I don’t know where to begin”. 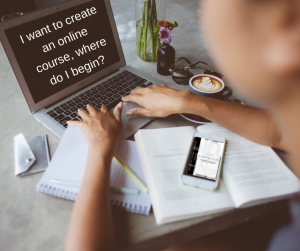 In this post, I will share the very same tips I’ve used for myself and the people that have taken my course on online course creation that will help you begin the process of creating an online course. This is part 1 of a 2 part series. Determine what your expertise is and how that can be translated into helping someone through an online course. Some therapists are very confident in the work that they do one on one, but get very reluctant when offering something outside of their comfort zone. 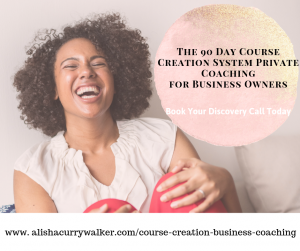 Realize that the work that you do with your individual clients can very likely be developed into an online course. What would your target audience be looking for in a course? What questions do they need answered? What do they need? What are they searching for online? Really get to know and understand what your ideal client is looking for and how you can help them. Putting yourself in the position to be the best person to answer their questions through the content you post online, the social media posts that you share and any time that you can get in front of your target audience. What are you promising them they’ll achieve after taking your course? At the end of your course, how will their lives be changed? What will they be able to do differently? Once you have a clear understanding of your market and their needs and how you’re best suited to provide the answer, it’s time to do a little digging. Research your topic, research who’s already providing similar information and research what others are saying about your topic and the others who may have written a book, blog post or even teaching a course. Determine if There are Any Missing Pieces and How You Can Fill the Gaps. So what do you think? These are some beginning questions and steps to get you started on the road to creating an online course. In Part 2, I’ll share the next steps to moving forward with online courses. 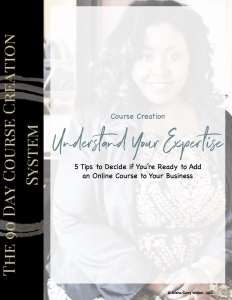 If you’d like more information on creating online courses, sign up to receive my ebook Understand Your Expertise: 5 Tips to Decide if You’re Ready to Add an Online Course to Your Business.